Ryan Taylor, MPP ’14, knew he wanted to get an MPP. He had a passion for public service, and he knew Washington, D.C. was the best place to pursue such a degree. He looked at numerous schools but selected GW after attending Accepted Students Day. “GW was known for great connections within the District itself on top of having incredible people,” he said. Taylor was also drawn to the array of opportunities to engage with organizations in the public, private and nonprofit sectors. “It was kind of a no brainer for me after I went to Accepted Students Day,” he said. At GW, Taylor developed skills to involve policy with statistics, manage markets, and gain a regulatory understanding crucial to his future career. During the spring semester of his second year, a professor introduced Taylor to an economist who was a former student of hers. He had the opportunity to meet with the individual for coffee and two months later, he was working as a regulatory economist at the US Small Business Administration. A key to Taylor’s professional success has been a willingness to explore any and all opportunities. Though he initially pictured himself working for government or a nonprofit, Taylor enjoys shaping policy in the private sector. He encourages students to pursue any and all opportunities that present themselves. Making connections and pursuing opportunities can open doors never imagined. 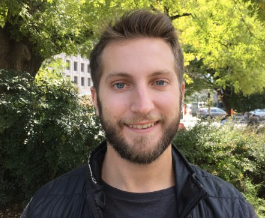 Today, Taylor works for Uber as the Product Operations Specialist where he works on a variety of products focused on regulations, data, and narrative. He enjoys the challenging work and the fast-growth atmosphere.